100 gms of Paneer (Click for homemade Paneer Recipe) crushed. Mix the Paneer, Jeera, Corainder, Green Chillies, Red Chilly and Salt. Crush the panner and mix the ingredients very properly, or else there will be paneer lumps. Take a lemon size ball of dough and roll it around 1 inch diameter. Apply a little Ghee (just dip your finger and apply it). Put around 1 tablespoon of paneer mixture in it. Now seal the dough from all sides and for a ball. Dip it into a the dry whole wheat flour and lightly stretch between your palms so that the paneer mixtures gets evened out. Start rolling the paratha to the desired size (4-5 inch diameter). Do not turn in between just keep on rolling the paratha. If required apply dry whole wheat flour in between to roll the paratha’s. Once rolled, put it on a hot greased tawa or a non-stick pan, on slow flame. Then apply a little Ghee and cook for a min. Turn apply Ghee and again cook. 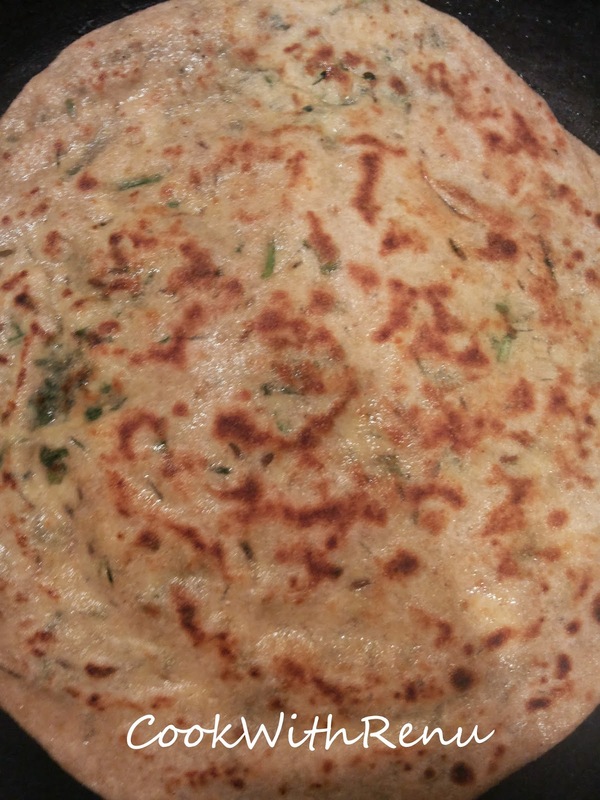 Continue cooking on both sides until the paratha is nicely cooked on both side. 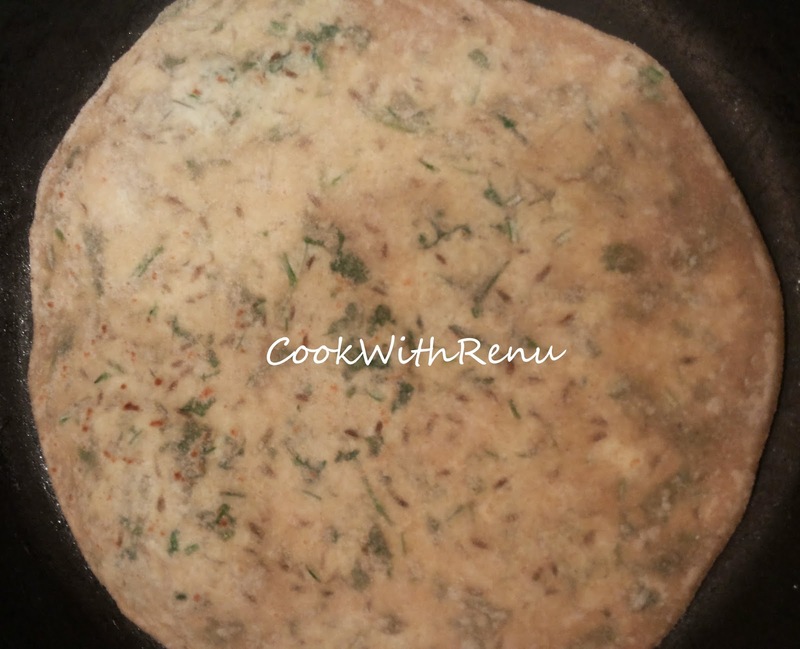 This paratha’s freeze well and comes in handy in one of those days when you do not want to cook or unable to cook. 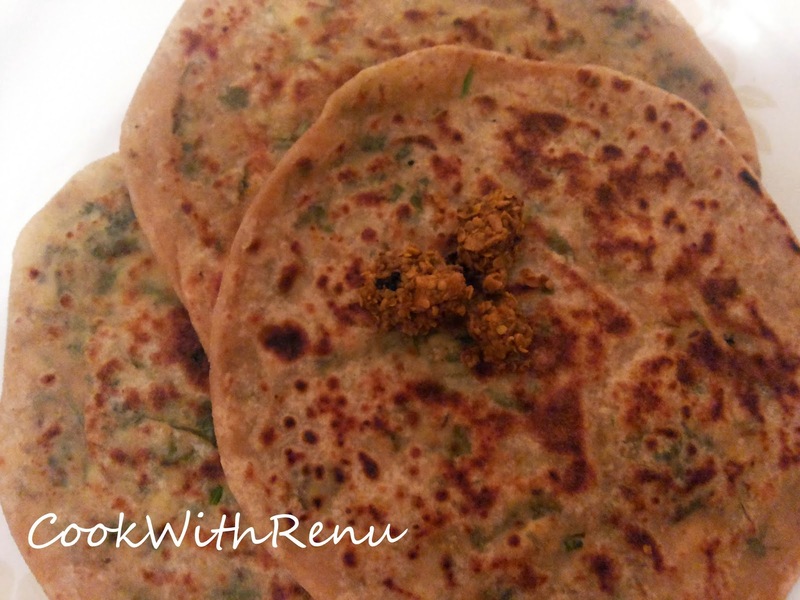 Check out on how to store paratha’s in freezer by clicking here. Have you tried a different version of paneer paratha with the goodness of Broccoli, if not check out the recipe for Broccoli and Paneer here and give it a try. Tip: My mother’s tip on making nice and fluffy chappati’s or paratha’s. 1. Do make a sligthly soft dough. 2. It should be well kneaded. 3. The first cooking on the first side should be hardly for a 40-50 secs. 4. Cooking on the second side should be for a min or two until the brown spots appear. 5. Then cook the chappati’s or paratha’s. 7. Do not apply too much pressure. 8. 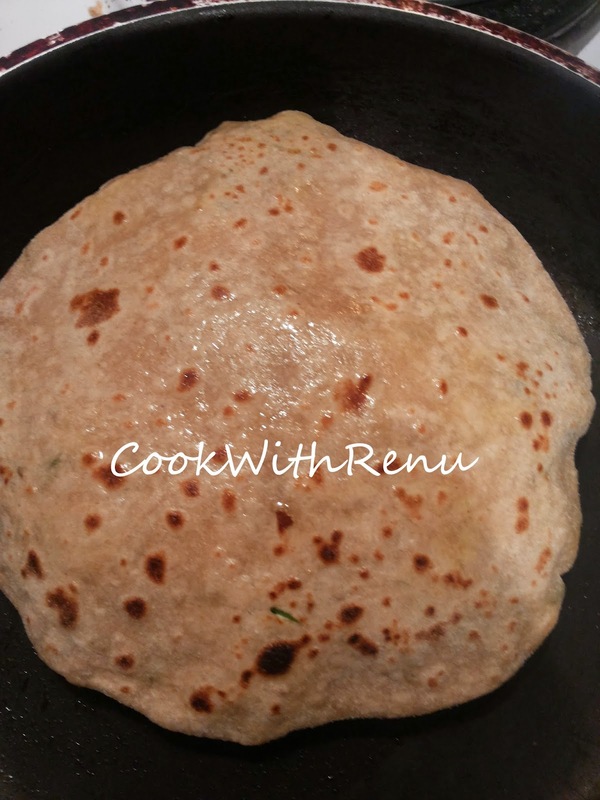 For Paneer Paratha or any stuffed paratha, it is best to first stretch lightly the stuffed dough ball in your hand so that the mixture is spread out evenly.